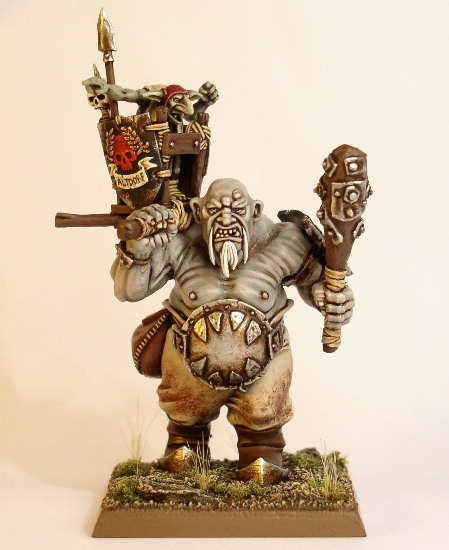 This ogre was painted for an article shown in US White Dwarf #301. For the skin I used a basecoat of approximately 50/50 Codex Grey/Bleached Bone. Shading was added with a Chestnut ink/Codex Grey mix thinned with water. Then highlights were done adding first more Bleached Bone and then Skull White to the base colour.